Portales with a population of 12,000 is a small town with plenty to offer. Low cost of living (an index of 80.9 while the US average is 100), steady growth, an appreciating housing market, modern healthcare facilities, and a friendly placed all rolled up in one package. 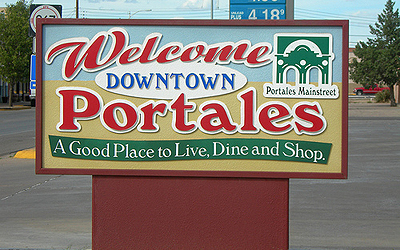 Portales is served by U.S. Highway 70 and state highways 88, 206, 236 and 267. We invite you to contact United Country Vista Nueva, Inc, in Portales New Mexico. We can save you time and money in locating Eastern New Mexico real estate throughout Portales New Mexico, Roosevelt County and surrounding areas of Eastern New Mexico. We offer a fine selection of homes, farms, ranches, mountain and equestrian property and commercial real estate for sale.